Raised by parents from Maine, I grew up on Whoopie (Whoopy) Pies. 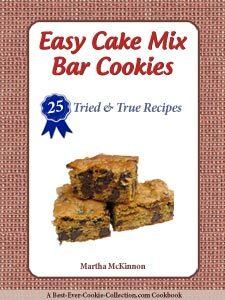 In fact my mom has not one, but several different recipes for these homemade treats in her files. And if you have never experienced one, you may be surprised to learn that a Whoopie (Cake) Pie isn't a pie at all. 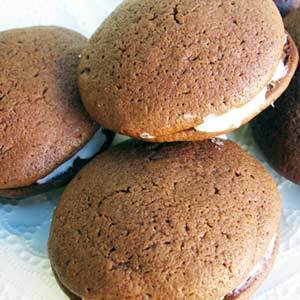 Whoopie Pies can be best described as chocolate cake-like sandwich cookies filled with sweet vanilla cream. Nabisco sells a Whoopie (Cookie) Pie look-alike called the Oreo Cakester! If you have ever vacationed in Maine or visited Pennsylvania's Amish country, you have probably seen this simple cookie-cake snack wrapped in plastic at the checkout counters of restaurants, gas stations, and convenience stores. But since, Whoopie Pies were far from mainstream, Whoppie Pie Recipes could be difficult to find. I have never seen mention of Whoopie Pies in any of the large all-purpose cookbooks. 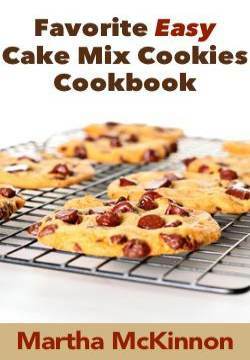 You needed access to a local recipe file or regional cookbook to find a Whoopie Pie Recipe. All that is changing now. Recipes for Whoopie Pies are showing up in cooking magazines, cookbooks and food blogs. Whoopie Pies are spreading across the country, finding their way into specialty shops, grocery stores, catalogs, and bakeries. And they are being made in an assortment of flavors. The origin of Whoopie (Cakes) Pies appears to date back to Amish cooks in Pennsylvania who baked them and put them in lunchboxes. How they made their way to Maine is less clear but they are extremely popular throughout the state. "How do you make Whoopie Pies?" you may ask. It's really very easy. First you bake the cookie-cakes and then you let them cool and then sandwich two together with a spoonful of creamy filling. If you are ready to bake a batch of Whoopie Pies, I've gathered my favorite recipes for you. Position an oven rack in the center of the oven and preheat the oven to 375F degrees. Line 3 cookie sheets with parchment paper or nonstick baking liners. In a medium bowl, combine the flour, cocoa, baking soda, and salt. Whisk until well blended. In a large bowl, combine the butter, sugar, and vanilla with an electric mixer on medium-high speed until well blended. Add the buttermilk and continue mixing just until blended. Pour in the remaining flour mixture and mix just until blended. Using a small ice-cream scoop (about 1 2/3-inches in diameter) or 2 tablespoons, drop 2-tablespoon mounds of the dough onto the prepared cookie sheets, spacing them about 2 inches apart. Bake 1 sheet at a time (make sure to use cooled sheet for the next batch) until the mounds are puffed and a toothpick inserted in the center of 1 mound comes out clean, about 10-11 minutes. Transfer the cookie sheet to a rack and let cool for 5 minutes. Using a spatula, lift the cookie cakes from the sheet onto a rack and let cool completely. While the chocolate cookie cakes are baking, prepare the filling. In a medium bowl combine the butter, marshmallow, confectioners' sugar, cream cheese, vanilla, and salt with an electric mixer on medium speed until well blended and smooth. Cover the bowl with plastic wrap and set the filling aside until the cookie cakes are ready to be assembled. If the filling is very soft, refrigerate it, stirring frequently, until it's firm enough to hold its shape. Arrange half of the cooled chocolate cookie cakes, flat side up, on a work surface. Mound about 1 1/2 tablespoons filling in the center of each. Want to try a super easy recipe for whoopie (cookies) pies that begins with a boxed cake mix? Here's the recipe for you. Position an oven rack in the center of the oven and preheat the oven to 400F degrees. Line 3 cookie sheets with parchment paper or nonstick baking liners. In a large bowl beat all the ingredients together with an electric mixer on medium low speed until well blended. Bake 1 sheet at a time (make sure to use cooled sheet for the next batch) until the mounds are puffed and a toothpick inserted in the center of 1 mound comes out clean, about 8 to 10 minutes. Add 3 ounces semi-sweet chocolate, melted and cooled and 2 ounces unsweetened chocolate, melted and cooled, to the vanilla filling. Beat until well blended. 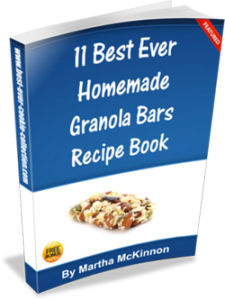 Add 1/2 cup smooth or chunky peanut butter to the vanilla filling and beat until well blended. Want to try a new version of an old favorite? How about Pumpkin Whoopie Pies! Recipes for Pumpkin Whoopie Pies are appearing everywhere these days and these treats are another way to enjoy the great flavor of pumpkin all year. The Weekend Baker: Irresistible Recipes, Simple Techniques, and Stress-Free Strategies for Busy People by Abigail Johnson Dodge. Want an even easier way to make whoopie pies? Check out this Chocolate Whoopie Pie Mix from Stonewall Kitchen, one of my all-time favorite Specialty Food Companies. Since they are based in Maine, they are in the perfect location to know a think or two about whoopie (cakes) pies. This whoopie pie mix would make a great gift too!